Karen Kasper's elegant sculptures were also featured in the Art and Archeology Exhibition of the Festival. This exhibition featured two distinct elements. The first, "The Arabian Horse through the Eyes of the World' presented sculptures as well as paintings and photos, while the second element reflected the seminar theme "Where It All Began" thanks to breath-taking photographs of the rock art of the Kingdom of Saudi Arabia which features the Arabian horse. The exhibition's success was largely attributable to artists like Karen Kasper, Ali Al Mimar, Gigi Grasso, and Richard T. Bryant, all are appreciated all over the world. The first competition of the festival was the international C-Show. Mohammad Al Matrodi, the organizer in charge, and his team invited an international panel of experienced judges: Claudia Darius, Tamas Rombauer, Abdullah Almokbel, Maria Ferraroni, Dr. Mohamed Machmoun, and Lucas Gozdialski. Important farms and global players earned championship honours. Al Khalediah Stud accomplished both, Junior Champion Filly and Colt with Resalat Al Khalediah and Wahej Al Khalediah, both sired by Razi Al Khalediah (Marquis x Halah). And this was not the end: Khadija Al Khalediah also earned Silver Champion Senior Mare and another three of her stablemates received Bronze: Mubdeat Al Khalediah for Yearling Fillies and Raslan Al Khalediah for Yearling Colts, both are by Razi Al Khalediah, while Ibn Jameelat Al Khalediah was named Bronze Champion Senior Stallion. Gold Champion Yearling Filly was awarded to Al Khaled Farm's QR Marc daughter Oxotica Al Khaled while Athbah Stud received Silver for their EKS Alihandro filly Rahbah Athbah. Athbah Stud's colt Almaa Athbah, by Shael Dream Desert, went for Gold Champion Yearling Colts with Nabil Alsakab, by Excalibur EA, winning Silver for Alsakab Stud. Fadi Al Shaqab is the sire of Silver Champion Junior Filly Asayel Nawayef Nahd, owned by Abdulla Bin Amir Al Nahdi, while Al Muawd Stud accepted the trophy for Bronze winner Najd Al Muawd, by Emerald J.
Emerald J is also the sire of Silver Champion Junior Colt Equador, proudly owned by Nasser Jasser Saif Al Sobaie. Bronze Champion Junior Colt was given to Singaar Gharnatah, by Shamal Al Khalediah, proudly owned by Naser Bin Klifeekh Al Hajeri. The Ajman Moniscione daughter Ajadore, bred in the USA and now adorning the stables of Alsakab Stud, accomplished Gold Champion Senior Mare with aforementioned Khadijah Al Khalediah winning Silver and Al Muawd Stud's Bourhani Sharifa, again by Ajman Moniscione, winning Bronze. Abdul Aziz Bin Mohammed Bukhamseen celebrated the win of Gold Champion Senior Stallion with Bade Al Hawaher, by Marajj. Silver was awarded to HF Santiago de Magnifique, by Magic Magnifique and owned by Abdul Aziz Bin Ibrahim Alajlan. 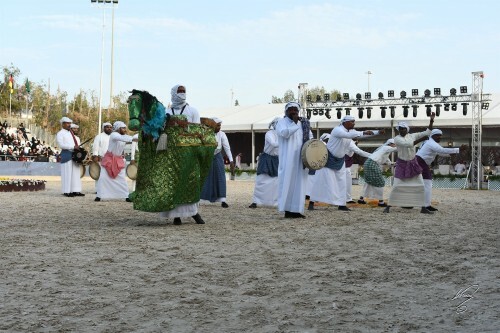 The Asharqia Arabian Horse Festival will continue with a show for Straight Egyptian Arabian horses on 24. – 25.February. 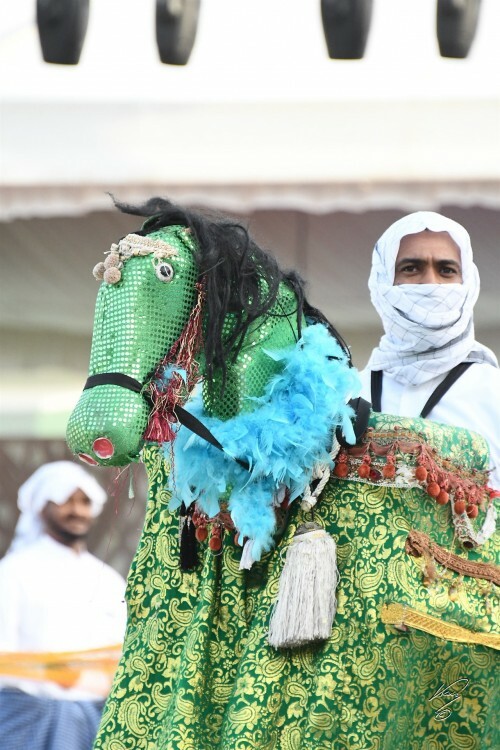 For sure, the Festival will become an important showcase to celebrate the history and heritage of the Arabian horse in the Middle East in the future. A very sincere thanks to the fantastic support of Mohammad Al Matrodi and his Asharqia Arabian Horse Festival organizing team. Arabian Horse Global Network would like to extend our thanks for the excellent collaboration. Also a a heartfelt thanks to photographer Jan Kan, for cooperating with us.